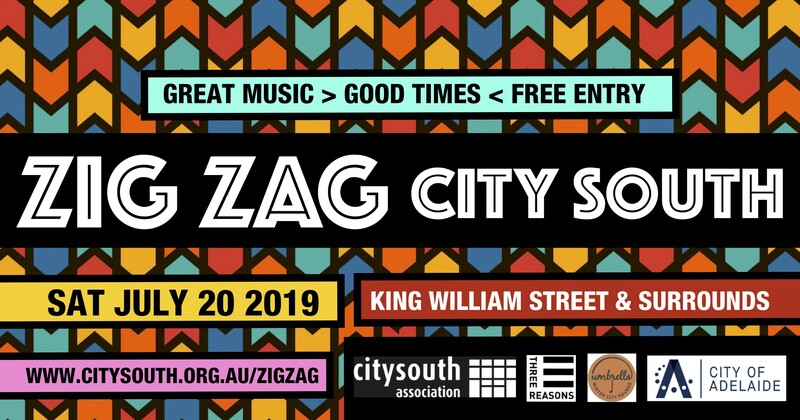 CitySouth Association – Zig Zag City South music event happening on Sat July 20 2019! CitySouth Association / Current Projects & Events / Zig Zag City South music event happening on Sat July 20 2019! City South’s next Zig Zag event will build on the success of our July 2018 event. 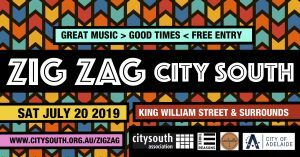 Happening in conjunction with the Umbrella Winter Music Festival, Zig Zag City South is back on Sat July 20, with a host of free-entry music events happening across the Precinct. Check out the webpage here for more details as they are released, and keep an eye on our Facebook pages for updates!